Sure, we all know that the “entertainment industry” is just the sugar coating for the subliminal feeding of socialist doctrine to the impressionable national mind, but few have been courageous to do more than post bitter YouTube videos about it. So enter heroic lawyer and author Ben Shapiro, whose new Primetime Propaganda exposes Hollywood’s liberal bias with empirical, angrily worded proof that its creators and producers are working to “shape America in their own leftist image." Shapiro interviewed dozens of writers, producers, and studio executives for the book—most of whom were under the false impression that he shared their point of view, he says, because “in Hollywood, talking to a Jew with a Harvard Law baseball cap is like talking to someone wearing an Obama pin.” So reassured were they by his Ivy League Jewishness, they really opened up the leftist vault on all the personal agendas they’d been hiding in their work over the years, and they didn’t even do so while hunched over in a craven, mewling ball! Among Shapiro’s findings: Happy Days had a secret anti-Vietnam War subtext “if you really look for it;” M*A*S*H had a totally pacifist message about “the wastefulness of war;” MacGyver was really all about sticking it to the gun lobbies; and Friends producer Marta Kauffman specifically recruited “a bunch of liberals” to “put out there what we believe,” such as the time they hired Newt Gingrich’s lesbian sister to officiate a gay wedding on the show, and also that time that Rachel, Monica, and Phoebe all had abortions just for funzies. 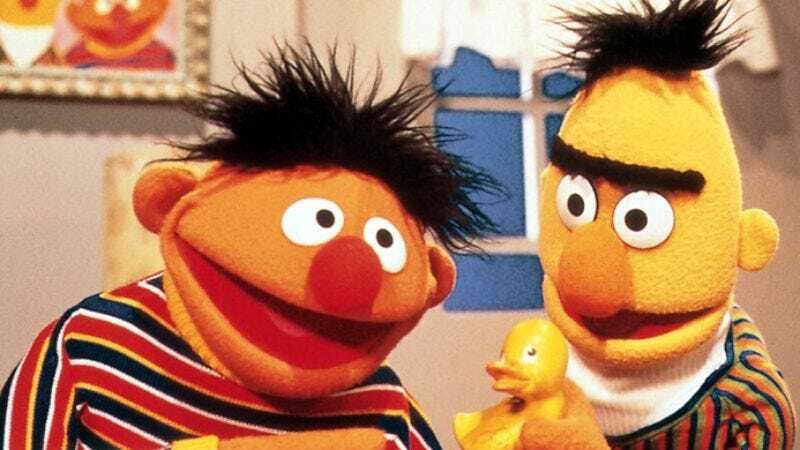 Naturally, Shapiro was most incensed over what he saw at the PBS-aired Sesame Street, which he accuses of trying to brainwash children with its messages of tolerance and acceptance: “Sesame Street tried to tackle divorce, tackled 'peaceful conflict resolution' in the aftermath of 9/11 and had [gay actor] Neil Patrick Harris on the show playing the subtly-named 'fairy shoeperson'," writes Shapiro, who also notes Grover breaking bread with a hippie and the socioeconomic and racial undertones in Oscar living in a garbage can.” Not addressed: The obvious socialist bartering system going on down at Mr. Hooper’s store. It's the reason why today's generation just expects the government to pay for all their birdseed milkshakes.